Alaska Native News Nov 12, 2018. 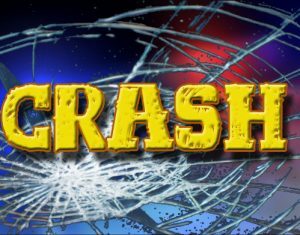 Despite the large number of individuals involved in a multi-vehicle accident on the Parks Highway on Friday morning, no injuries were reported in the collisions, troopers report. Troopers were made aware of an accident involving four vehicles at mile 169 of the Parks Highway at 11:30 am on Friday morning and responded to the scene to assist and investigate. According to their report, 26-year-old Logan Haga of Fort Wainwright was driving a 2013 Chevy van southbound on the highway with eight US Army personnel as passengers. Behind Haga was 23-year-old Derek Madrid, operating a Chevy van with an additional six soldiers. As they traveled on the highway, they came up behind a “State of Alaska DOT, 2013 Volvo Loader/ Brush mower, operated by Donald Holum, age 64 of Cantwell,” AST reported. Holum was cutting brush along the side of the highway. Swirling snow on the highway prohibited Haga from safely passing the DOT vehicle and soon Madrid lost sight of Haga in the blowing snow and impacted rear of the lead van setting off a chain of collisions. Haga’s van impacted the rear of the DOT vehicle causing it to careen into the northbound lane of travel where the van hit the rear bumper of a northbound 2007 Toyota Highlander operated by 58-year-old Vitaliy Damyan. After that final impact, the lead van ended up in the northbound ditch. Everyone involved reported that they were wearing their seatbelts and all additionally reported no injuries.